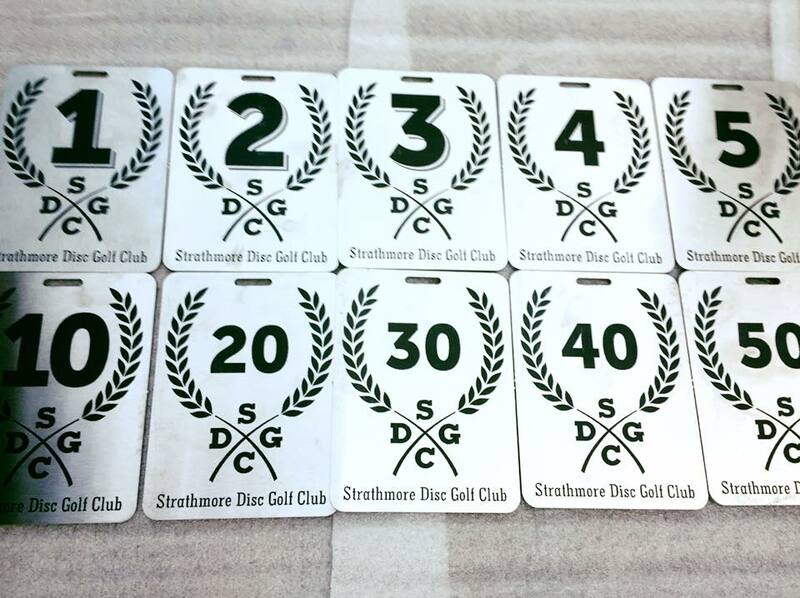 Come Join the Strathmore Disc Golf Club! 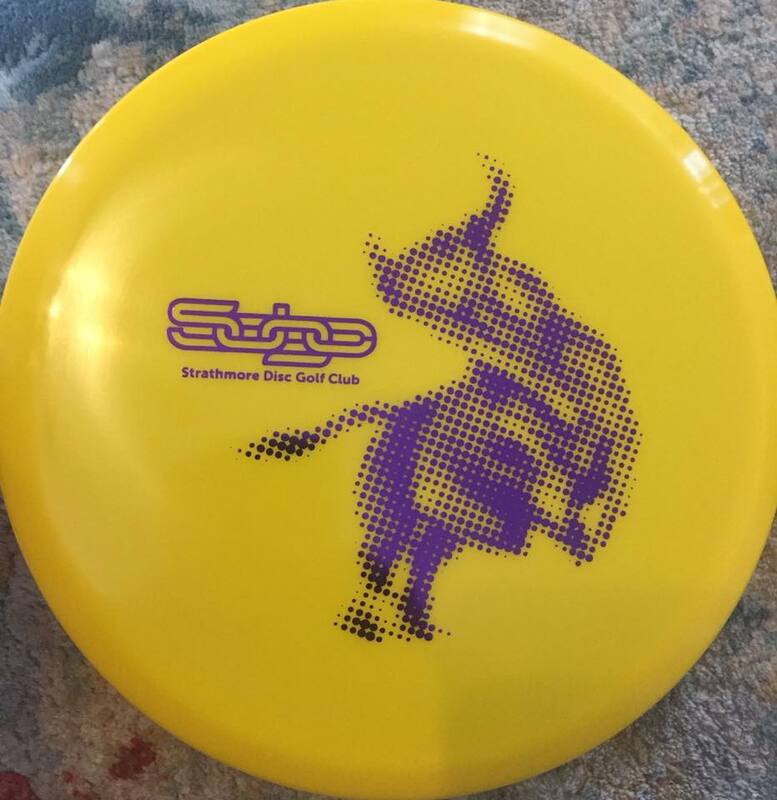 Includes: 2019 stamped disc or shirt, numbered players tag, and free league nights/playoffs. - Scorekeeping and handicaps will follow last year’s system. - Top 6 scores on league nights from the beginning of May to the end of August will determine your handicap. - Once per month, not assigned ahead of time, a group tag night will happen. Everyone will place their tags in a pot and they will be redistributed at the end of the night based on score. This will create a more even and consistent distribution of tags rather than the same 3 players playing for the same 3 tags all season long. For every other league night, tags do NOT have to be played for, but can be if the individual group votes in favour of it. - Players who cannot make League night for any reason may play a makeup game only on the following Wednesday (6 days later). There must be at least one other member playing with them for verification, even if the second player made it on league night. Only the first logged score will count towards handicap. ​​ Joe cannot make it to league night but Brad can. Brad plays on Thursday an counts his score towards the SDGC handicap. Joe plays on the following Wednesday (6 days later) and Brad joins his to verify the score. Joe counts his score towards the SDGC handicap but Brad cannot as his score has already been counted. ​This will require some coordination for players on the following Wednesday. We hope players will attempt to always attend Thursday night rather than consistently making two separate groups. - If a player cannot make it on league night for their playoff game and their opponent can make it, a head-to-head game may be played anytime before the next league night to determine the winner. If no game is played, the player who was able to make it on the original league night wins by default. It is expected that the player who was present on league night will make an effort to allow for a make up game. Meet at hole 1 by Brentwood School. The round takes roughly 2 hours to get everyone through. Tags are not required to be played for during league nights although you are welcome to play for tags within your group. 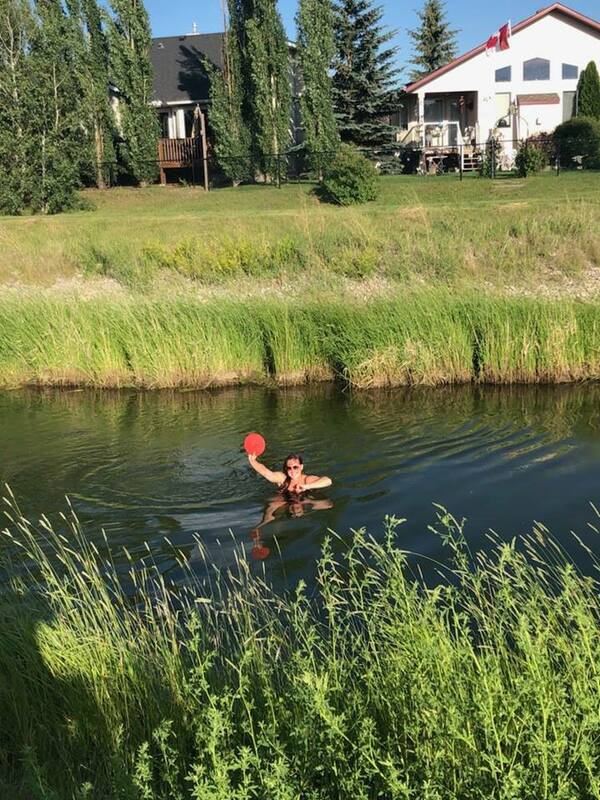 Please feel free to join the public Strathmore Disc Golf Facebook group here where many active players are often looking for anyone to enjoy a round with. *Weather permitting. 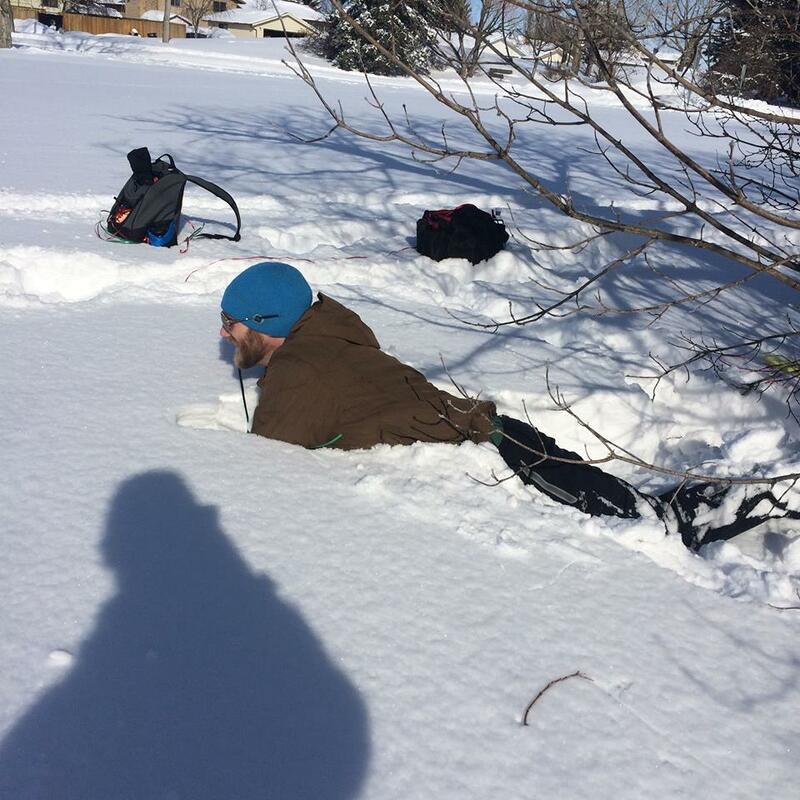 Some players will still likely play in the winter depending on snow levels & temperature. Bring your discs and be ready to play 18 holes of disc golf in a random team format. If you do not have discs, there will be extras available for you to borrow. 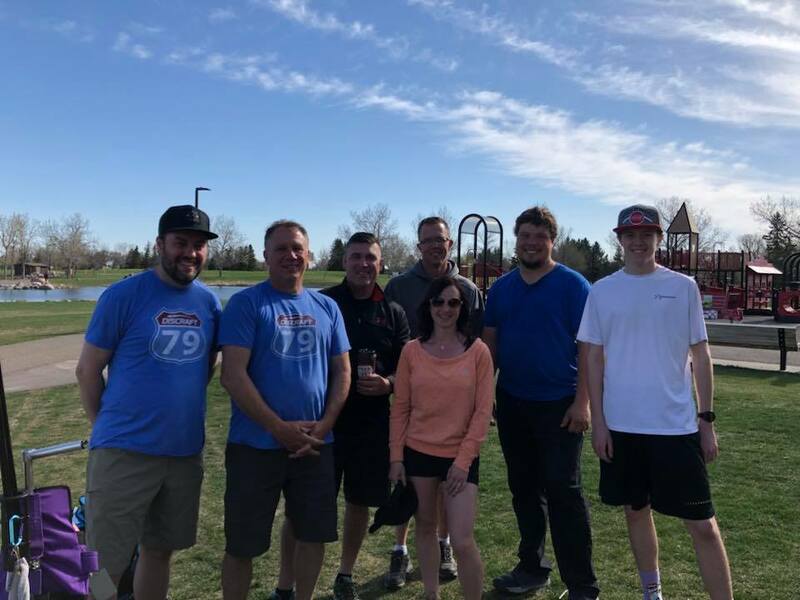 We look forward to seeing you on the disc golf course!